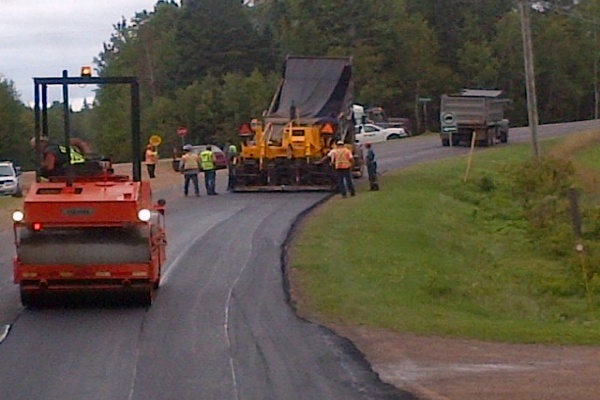 M&M Resources is an industry leader in the residential and commercial paving industry on PEI. 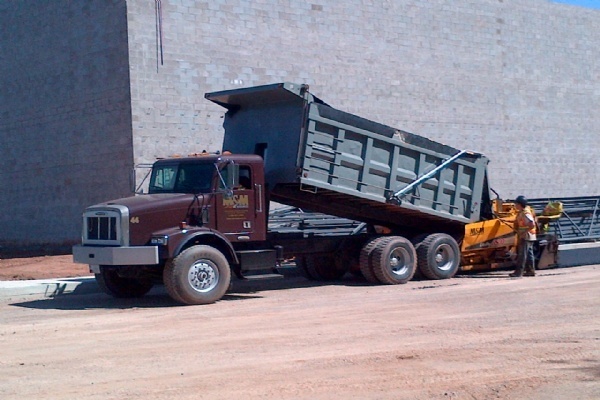 We have our own production plant to produce government certified hot mix asphalt, and our team of experienced paving professionals are dedicated to providing quality results on every job. 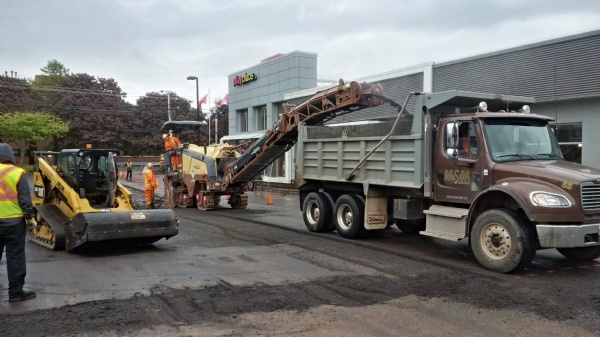 Street & roadway resurfacing and milling & overlay are larger scale services we are also equipped to provide. 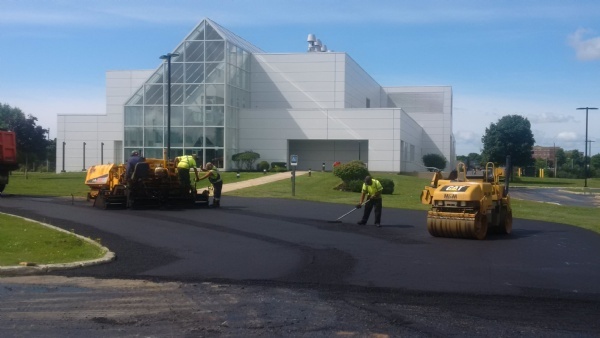 LEVEL & RESURFACE: This is when we apply an initial layer of asphalt to an existing paved surface to fill uneven areas such as potholes or wheel tracks. This is also referred to as a "scratch coat". Once the levelling layer is applied and compacted, we start again with a new finish layer over the entire area. 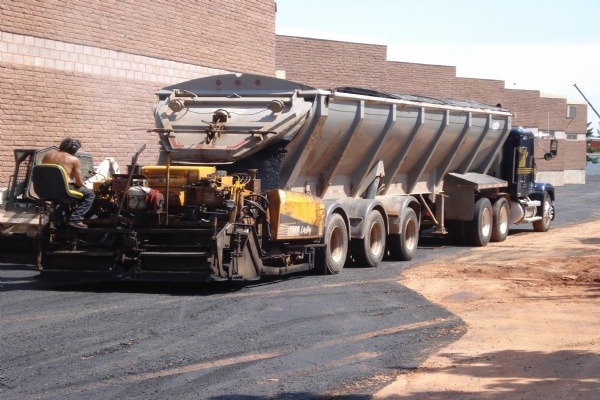 FINE GRADE & PAVE: This type of job refers to paving a non-asphalt surface such as gravel or shale, in many cases it would be a new home construction. Our prep crew fine grades the existing surface (provided it is sufficient quality material), compacts it, and ensures it will allow for proper drainage. 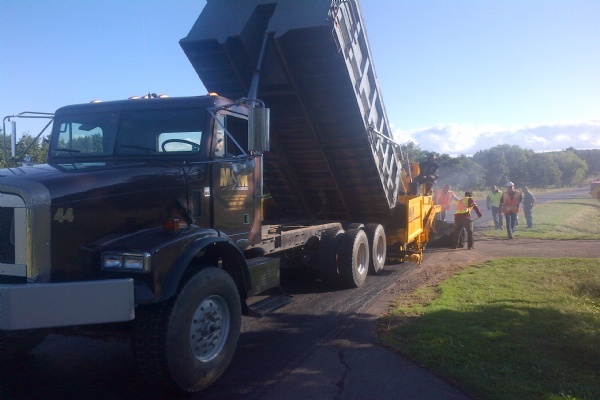 The paving crew follows up with a new layer of asphalt. EXCAVATION: An asphalt surface is only as good as the sub-base below it. In many cases, the sub-base material will need to be removed and new material brought in, compacted and fine graded. This is followed by a new layer of asphalt. While more expensive than a LEVEL & RESURFACE, it is an investment in the longevity of your driveway or parking lot. 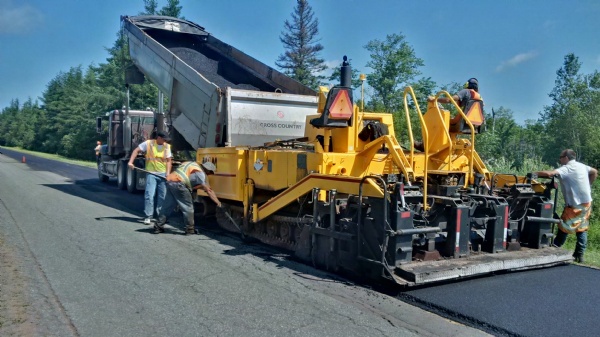 Other asphalt services our company provides are cross cut repairs, patching, infra-red heated pot hole repair, and resurfacing with crushed asphalt as an alternative to hot mix. 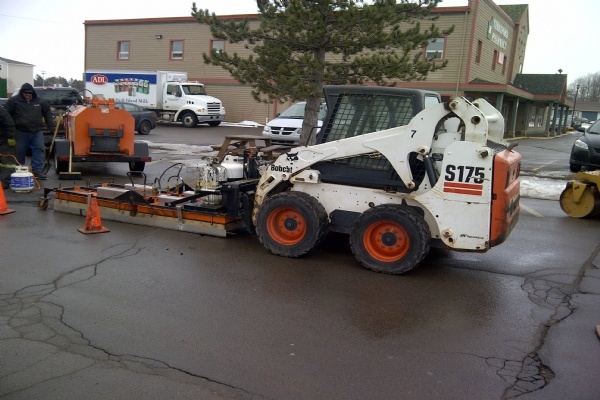 Milling & Resurfacing a commercial parking lot. 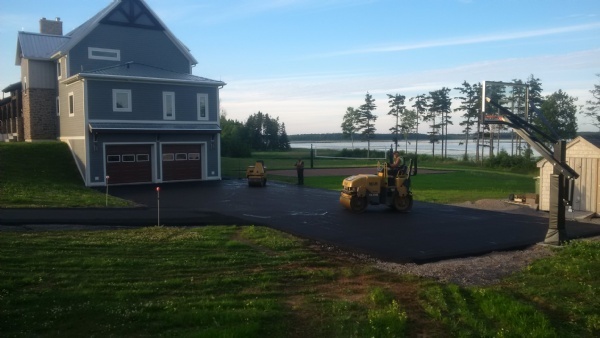 Putting the finishing touches on a residential FINE GRADE & PAVE. FINE GRADE & PAVE of a commercial parking lot. Resurfacing of a secondary roadway. LEVEL & RESURFACE of a commercial parking lot. 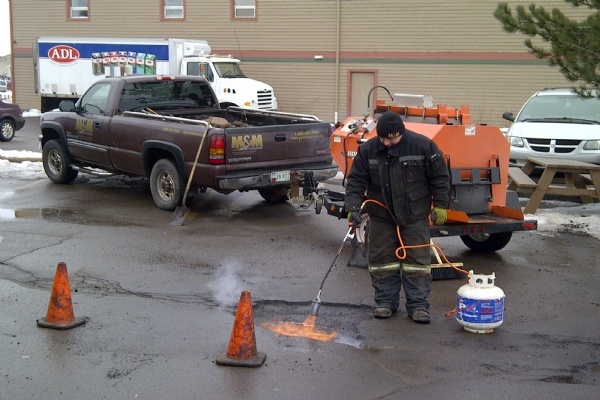 Our infra-red pothole repair process.